Few peppers define a regional cuisine as well as Peperone di Senise (a.k.a. the Senise pepper). With its delicious, sweet flavor and little to no heat, the Peperone di Senise is a staple of the rustic cuisine of the Basilicata region of Italy. While it’s used fresh (and simply perfect as a frying pepper), it’s the Senise pepper in dried form (known then as Peperone Crusco) that’s used the most often. Dried, it flavors meats, soups, and stews, along with a wide variety of rustic Italian meals. 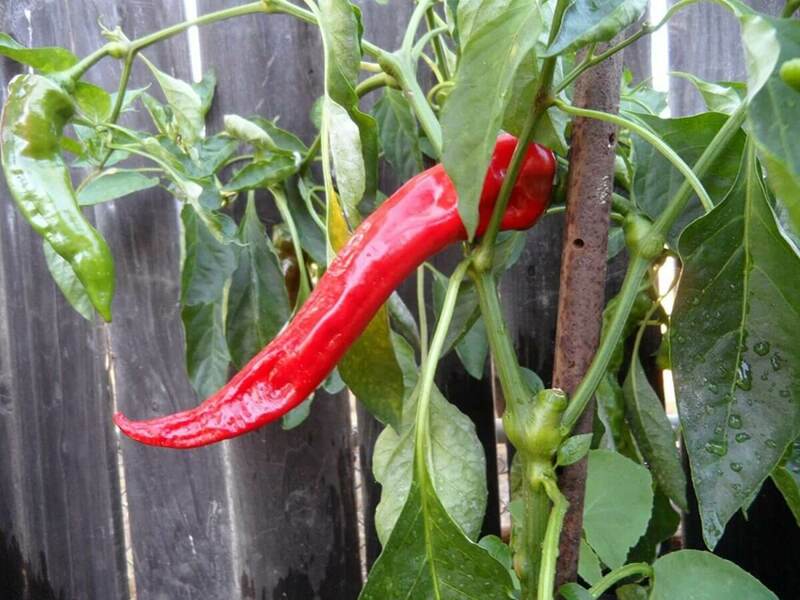 The Peperone di Senise is a geographically protected pepper via the I.G.P. (Indicazione Geografica Protetta). This European designation ensures the pepper’s origin when sold. 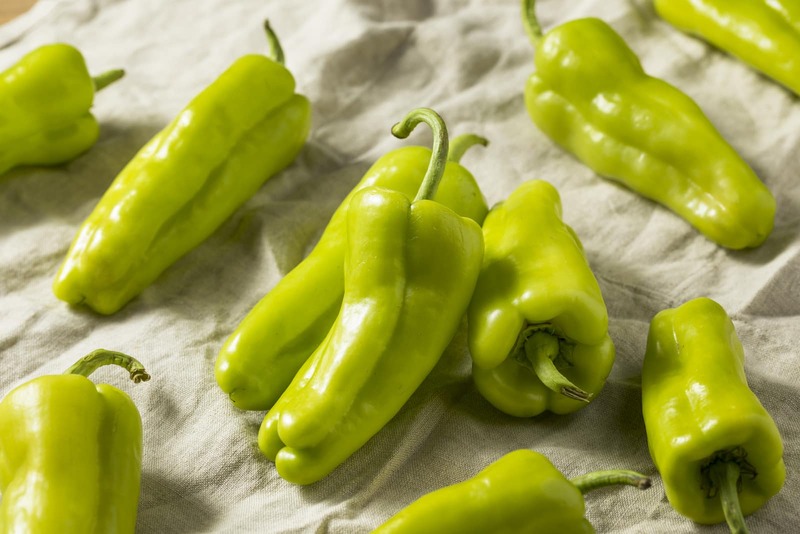 Only pepper’s grown in the Basilicata region qualify to be named Peperone di Senise (similar to how only sparkling wine of the Champagne region of France can truly be called “champagne”). How hot are Peperone di Senise? As the Senise pepper is a sweet pepper, there is little to no heat to talk about. It’s all about the flavor here. In terms of the pepper scale, they sit right among the likes of the bell and gypsy peppers – and, at really no heat, they are light years milder than our jalapeño reference point. What do Senise peppers look like? They have a length comparable to cowhorn peppers, six to ten inches long, slim with a curving profile. Peperone di Senise mature like most peppers, from green to red, and they sweeten along the way. It’s in their mature red form – at the peak of their sweetness – when they are typically used, either dried or fresh. Peperone di Senise have very thin walls (and little liquid in those walls) which make this pepper perfect for drying. 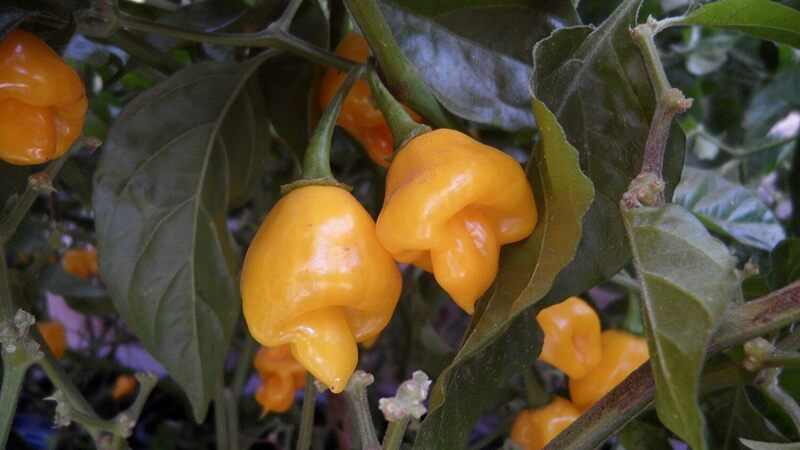 You’ll often find ristras of this pepper in Italy which adds an artistry to this culinary beauty. What do Peperone di Senise taste like? There’s more than sweetness here, that’s for sure! 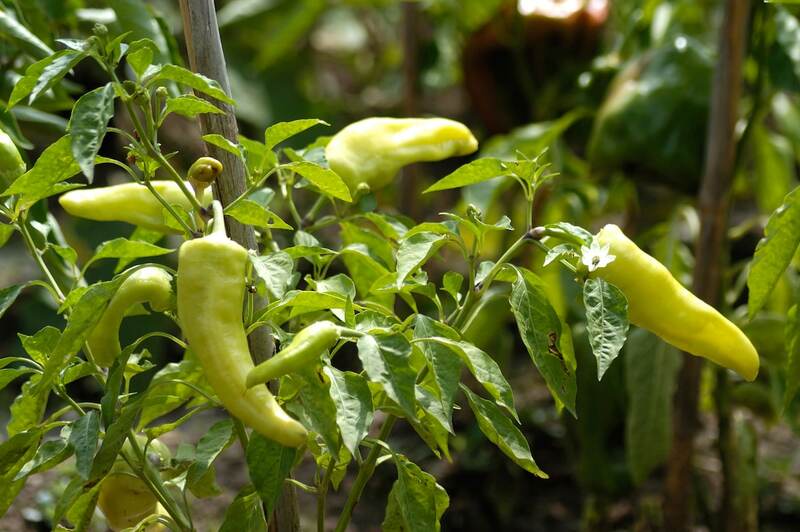 Many believe Peperone di Senise are among the most delicious peppers in the world. Sweet, a little nutty, a little smoky – it’s all there. No wonder it’s such a favorite no matter how its used. How can you use these peppers? As mentioned, you’ll often come across Peperone di Senise in its dried form (then called Peperone Crusco). When those dried peppers are crushed into powder (called zafarano in Italy – meaning “saffron” since it has a similar color to the spice), the pepper is perfect for seasoning salads, soups, stews, and many a rustic meal with its sweet, smoky, and nutty flavor. But that’s not to say that the Senise pepper doesn’t have culinary value in its fresh form. In fact, those thin, liquid-light walls that make it perfect for drying, also make them perfect for frying. They rival the Spanish padron pepper in this way. Use just a little oil and salt while frying these peppers, and you have a simple, yet delicious side with a surprising amount of flavor. Where can you buy Peperone di Senise? As these are such a regional delicacy, finding authentically grown fresh Senise peppers relies on a little travel. You can find Senise pepper powders online, though it often takes ordering from abroad if you’re in the United States. Otherwise, Peperone di Senise seeds are readily available online – though once grown out of their Italian homeland – they technically no longer qualify for the Peperone di Senise name. If you’re looking for a sweet pepper with a complexity of flavor, the Senise pepper is one of a kind. It may be a hunt to find them in dried form (and a little culinary travel for authentic fresh peppers), but for those true pepper fans these are a must-taste. What's The Best Cubanelle Pepper Substitute?